December has arrived, not exactly mid season, but it’s a good time to check on the top leagues in Europe, and see who the top scorers are and who’s on their tail in the scoring title race. 15 Matches into the season, Jermain Defoe is leading the Premier League’s scoring chart with 12 goals in 13 matches, thanks to a fantastic start and one amazing 5 goal performance against Wigan, as Tottenham won 9-1, just missing out on a Premiership record. 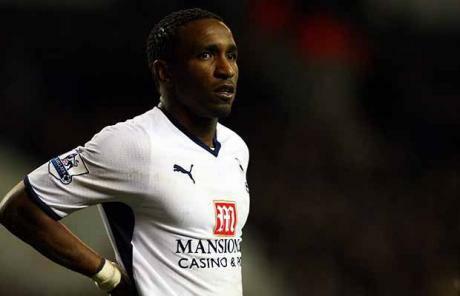 Defoe’s best output in the Premiership has been 13 goals, so this seems like his best so far. The race is pretty tight though – Didier Drogba and Wayne Rooney with 11, Fernando Torres who’s slowly coming back from injury and has 10 goals, and don’t count out Darren Bent with 9 goals so far. My Guess? If everyone stays healthy, I think Torres should finish first. Drogba’s African absence will ruin his chance of winning the scoring title. 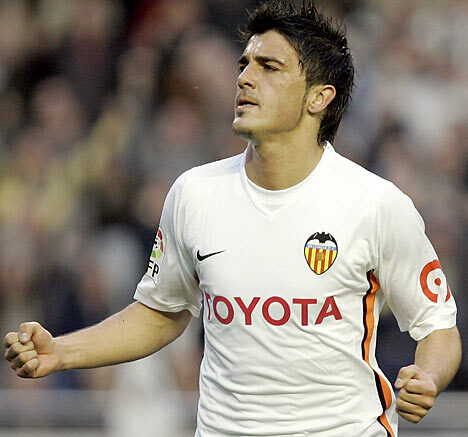 After all the summer rumors regarding Villa, he’s still racking up the goals from Valencia, and with his 11 goals in 12 league matches so far he’s on his usual track, never going below 15 goals since moving on up to the La Liga. Last year he scored 28, and if he doesn’t get injured, he’ll be in the upper 20’s again, although it might not be enough, like last year, to be the league’s top scorer. Chasers – Ibrahimovic has 10, Messi has 9, Luis Fabiano has 8. Ronaldo has only 6, but he was for a while and has knack of catching up quickly. Aguero has 7 and Forlan has 6 but they probably won’t catch up with the rest. My bet: Ronaldo or Zlatan, probably Ronaldo, barring an injury. The 25 year old Bayer Leverkusen striker has really caught on fire this season, already matching his best season (2008-2009) in goals. It took a few seasons for Kiessling to really breakthrough, but after last season (12 league goals, 7 in the UEFA cup) it looks like he’s a big time scoring machine. 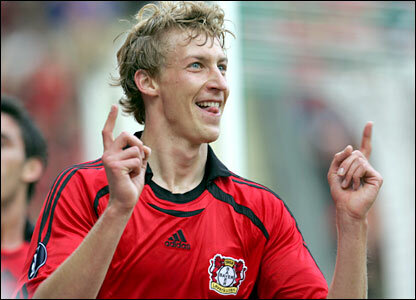 If Leverkusen win the title this season (Finally), Kiessling will have the major share in that achievement. Chasers – Big gap. Second is Kevin Kuranyi with 7 and a pack of players with 6, most notably Pizzaro (Bremen), Mario Gomez (Bayern) and Dzeko (6). My bet: Kiessling is on the best scoring team in the league along with Bremen, and he’ll stay on top till the end of the season. Di Natale started this season on fire, with 9 goals in the first 7 games, but has since cooled down, scoring only 2 league goals since October 10th. He has scored in each of the last two league games, but it’s hard to imagine he’ll find himself on top at the end of the season. 17-20 Goals is the reasonable mark for him. On the other hand, Totti and Diego Milito, both with 9, look like the main contenders for the scoring title, not counting out Eto’o, Gilardino and Pato with 7. Still, I’d put my money on Totti. The 28 year old Brazilian also known as Anderson Luiz de Carvalho has 10 goals in 12 matches so far in the French League, despite Monaco not really threatening the league leaders at 12th place. He’s been around Europe for a while, including Mallorca and Celta Vigo but this season looks like his best so far. Main threats – Lisandro Lopez (Lyon), Gervinho (Lille), Asamoah (Rennes), Frau (Lille). My Bet: Lopez and Gervinho are the best players there, it’ll probably go down between the two of them, and Lopez will win.